Some readers have brought to my attention the reality that my initial deal post two weeks ago didn’t actually include the Wahoo KICKR or KICKR SNAP 20% off sale, and as such, a large portion of readers probably don’t realize it yet. So this will serve as the briefest of brief FYI’s, since these two trainers have never been cheaper. 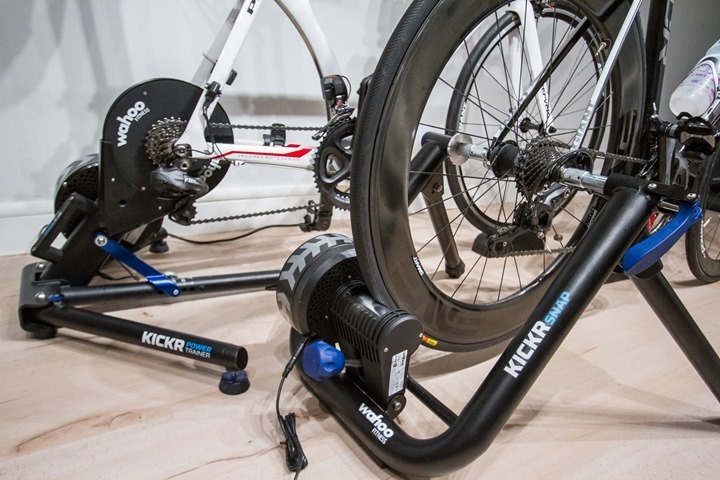 Wahoo KICKR Trainer – $959 (normally $1,199): With member coupon code 15FALLMEM. Ends Nov 23rd. Wahoo KICKR SNAP Trainer – $680 (normally $850): With member coupon code 15FALLMEM. Ends Nov 23rd. For both of the above, you’ll need to be an REI member (if not, it’s $20 more). You can get free shipping on the KICKR by simply selecting to do a pickup at your REI store a few days later (option on checkout). Also, a few of you have asked what happened to the KICKR 10-speed version (only 11-speed now offered). In short, Wahoo ran out of inventory globally on it. They’re working on getting another production run for 10-speed versions, but it’s not a ‘next week’ type of thing. Of course, you can always just swap out for your own 10-speed cassette, which typically cost about $50-$60 for a Shimano Ultegra version. Both of the above deals disappear at the end of Monday. Some of you have asked whether or not I’d go with the usual recommendation of the Tacx Vortex at $529, or the KICKR SNAP at $680. In general you’ll have wider Bluetooth app compatibility with the KICKR SNAP, and you get slightly more resistance (incline specifically) on the KICKR SNAP. 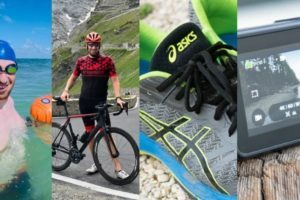 But both trainers are already supported by Zwift, TrainerRoad, and others. I don’t find any real noise differences there, nor road-like feel differences. There are some minor other differences, but those are the main ones. Simply comes down to how much you value $135. Garmin FR920XT for $329 (normally $449) – Deal ends Nov 23rd. Garmin FR920XT with HRM-RUN for $369 (normally $499) – Deal ends Nov 23rd. Note that the newly introduced FR920XT triathlon bundle is not on sale (Garmin decides these things, not retailers). Also note that interestingly, Garmin just introduced Running Dynamics Gen2 metrics to the Fenix3 over the weekend (via a beta firmware update), using existing HRM-RUN straps that simply get a software update to give them new capabilities. These were the ones that were announced for the FR630. It’s unclear whether or not the FR920XT will get these metrics, but usually the FR920XT/Fenix3/Epix products stay in lock-step (give or take a few weeks) on these things. The obvious exceptions being something that’s specific to a higher end product line like mapping or advanced navigation. Of course, most return policies would more than encompass that few week lag between products updates should this not come true. I’ll be posting all of the other Black Friday sales on Thursday (for announced deals), I’ll do a brief reminder/FYI post at that time pointing to my main BF deals page located here. In general, I don’t expect to see any manufacturers undercut existing sales on the same products, because that’s a nightmare for retailers (customers would simply request refunds and/or returns). So you usually see adjacent products get sales, or just extensions of existing sales (what’s old is new again). And as with before, in general don’t expect any products released in the last few months to be put on sale – companies simply don’t do that since they’re already selling well enough. 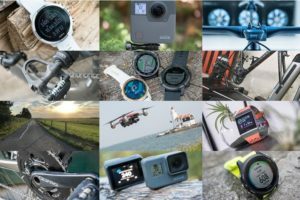 Finally, between now and then you’ll get the Winter 2015-2016 Gadget Recommendations Guide, and the Garmin FR230/235 In-Depth Review. Plus 1-2 other in-depth reviews this week. It’s gonna be crazy pants. Thanks for the quick read and the support! I find it puzzling, insulting even, that Garmin has sales on its gps watches on the US site, and nothing in Europe. Why are european customers treated with higher prices to begin with, and then no sale? 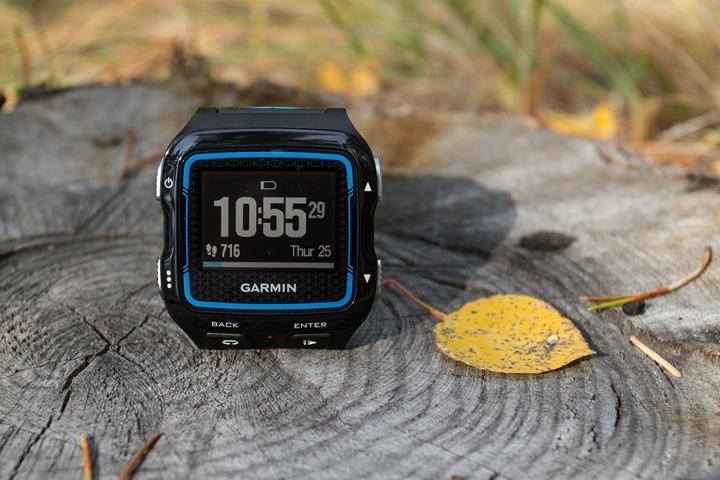 We’ve seen Garmin and its retailers run sales over Black Friday in the past, in Europe. Sure hope so…. I really want to get a 920XT, hope this Black Friday will be it. I googled 920xt from the UK site and was presented with prices as low as £238.94 – certainly in the ballpark of this US sale price. There is one at 249.48 from a UK based vendor as well. Can’t vouch for any of these retailers but clearly you can get the 920 at a decent price in the UK right now. Not sure this is true. $369 is £244, add vat makes around £290. Amazon uk at selling the 920xt at £275, so cheaper. Remember the $369 will not include sales tax which, although not as high as uk vat, can still add around 10%. Fwiw, Tax in the us is state dependent. So some states have none, others have some, and others have a lot more (more in line with VAT). Totally variable. Thanks for the great info Ray — as usual. Really looking forward to your review of the BSX Insight 2.0. Any chance you’ll get to it in the next couple weeks? I’m hoping so. I’ve gotten everything done data-collection and photo wise, just a case of putting keyboard to paper and knocking it out. How much to ship the wahoo snap to ontario, canada ? Just a heads up – I ordered the Wahoo KICKR on the REI website this afternoon and it appears to be back ordered. I wasn’t given any notification prior to check out but the confirmation email said the item “should ship within a month.” Still a great deal but don’t count on it by Christmas. I’m glad that REI is honoring the price. The 20% discount fine print says that it is only valid for items in stock, not valid for back-ordered merchandise. Costco currently has the Fenix 2 for $199. I know you have said that this is a “dead end” watch, but at $200 bucks that’s a lot of watch: swim, bike, run, triathlon, training plans, workouts, power meters, running dynamics, and viewable downloadable maps for navigation. Do you know if all the early problems it had have been fixed? Also altimeter, barometer, compass and temperature. When does the Coscto deal end? My opinion would be to wait and see what happens over Black Friday, if possible. Through 11/30. No activity tracking. No Connect IQ. So Ithink I’m going with the fr235. But still, that is a lot of watch for $200. However if they aren’t moving them, maybe we will see that price for a while. The regular Costco price is only $250. I’m a bit torn. I have a 910xt that is a year old and I’m debating if I should buy the 920xt on this deal. Is it worth the upgrade? Mostly running and biking with some swimming thrown in. The FR910XT is a bit of a dead-end watch in terms of new updates, whereas the FR920XT continues to receive new updates. It also supports Connect IQ, which is useful in that you can get features you wouldn’t otherwise have if Garmin didn’t create them. More relation to brands, less reliable. Too much in favour of garmin, tacx and wahoo. I’m not sure what you’re asking/saying (I don’t understand). It’s a sale, it’s of interest to a massive number of people. There are no other sales as of yet, those companies simply haven’t put anything on sale (yet). 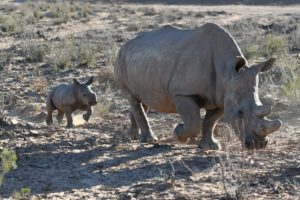 I don’t decide sales – companies do. I just pick out the ones that are most interesting to highlight. As for those brands, they’re the biggest ones out there, so they’re of the most interest to people. I cover a ton of brands, based primarily on consumer interest. For example, my most recent review was the TomTom Spark, my next will be the Verve Infocrank. 20% off Wahoo Kickrs. The sceptic in me sees a new release kickr 2 coming out soon! 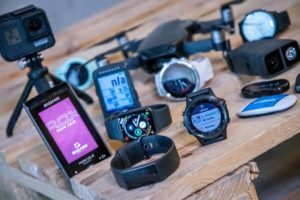 When might we see a Garmin FR630 in-depth review? Thanks Ray. We’ll see. I suspect if not later this week (seems optimistic), then early next week. 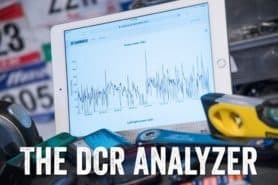 Right now my focus is mostly on getting the FR230/235 review out the door on Wednesday, plus another power meter review for tomorrow, as well as the 2015-2016 device recommendations. Plus a bunch of the BF type stuff (that tends to be super-tedious to put together, even if it appears short). It’s a good thing you quit your “day job”. Although I doubt Microsoft thinks so. We, here, are pleased. The best deal I found today is at Decarhlon Portugal. 920XT HRM at €399. Price valid through December 31st, as stock lasts. Yeah, me too! So bummed I even had one in my cart then took a call!!! Heads up, I just checked and the Wahoo Kickr is no longer available on the REI site. And thanks for all the awesome reviews and information on your site. For the Wahoo SNAP, it appears you can go ahead and order one on back order with the code. I just did it, and it gave me the discount — also saying I won’t be charged until they’re back in stock, but, as I said, the receipt as it stands now reflects the discount. I may die. Waited too long to order the Kickr…im crying in the corner. I am dyyyyying….ugh. 800-426-4840) and was able to place an order for the SNAP with the discount. He said there were only a few left. Remember that all REI member purchases get a 10% dividend credit at the end of the year, making a permanent 10% discount on the KICKR. The deals are also valid at UK, EU and AU . Is it a bad time to buy a Wahoo Kickr? It has been out now for a few years and I’m worried that a new version might be coming out next year and if there is I’d probably rather wait. 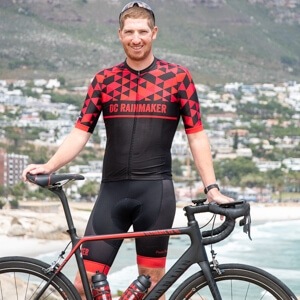 That said, the KICKR is a great trainer, and I’d expect no new Wahoo Trainers until next Eurobike/Interbike (Aug/Sept), that’s the industry standard time for new releases of trainers. Next August would be good, I could wait until then if they are probably going to update the Kickr this year. Just a heads up. I paid $345.58 for a TACX Vortex smart (T2180) shipping included at Starbike. Looks like they are currently running 402.90 Euro. So after backing out VAT of 76.55 Euro and adding shipping of $15, your at $357.59. Will there be a deal for canadian residents on the wahoo snap? Also is this discount right from wahoo or rei etc… ????? 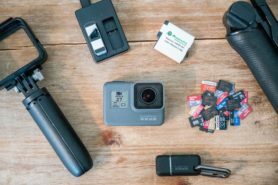 Good GoPro4 Silver deal at B and H $319. Other versions also on good sales. Are they going to update the KICKR next year?? No point in spending a bunch of money on a trainer just so its already obsolete within the year? The earliest you’d likely see a replacement would be next Aug/Sept for Eurobike/Interbike. It’s a bit hard to say it’d be a waste now, since you’d have an entire year to use it. 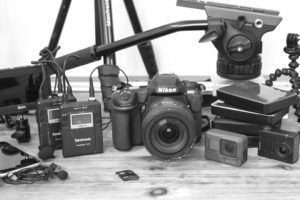 Plus, realistically the trainer world doesn’t move too quickly – it’s almost more about the tech these days (FE-C, broadcasting, etc…) – aside from noise aspects. Not sure if anyone is following this still but Performance Bike has the Kicker Snap for $699 and, today only, another 20% off. After tax it was just over $600. Had to order but will be delivered to the store. Sweet deal. Seems that Wahoo has listened to your price proposal. Seems that they have the Snap now lowered to 699. REI has it for 700 and got me even my 20% on this (as they cancelled my original order). So I guess I made a good deal.